SABC video footage showed Ndabeni-Abrahams preventing journalists from covering a protest. 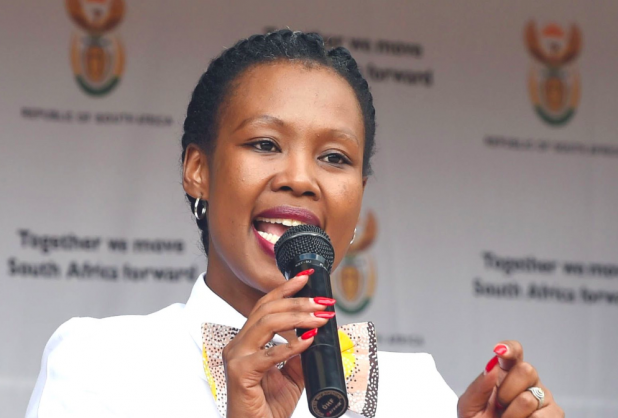 The SA Editors Forum (Sanef) said it had met with Communications Minister Stella Ndabeni-Abrahams, who was last week condemned for blocking journalists from covering the actions of protesters at an ANC elections manifesto launch in the Eastern Cape. ”The Sanef delegation stressed to the minister the severity of her actions as undermining media freedom and the broader implications it has on the industry. Minister Ndabeni-Abrahams expressed her remorse, unreservedly apologised, and took full responsibility,” Sanef said in a statement. SABC video footage showed Ndabeni-Abrahams preventing journalists from covering the protest and ordering them to cover what they came for and not give coverage to “people that are out of order”. Irate ANC supporters had stormed the rally complaining about poor service delivery. The minister issued an apology for her actions after the rally. The two parties further discussed recent incidents of cyberbullying and the use of social media against journalists in an attempt to discredit, threaten, and silence them, said Sanef.